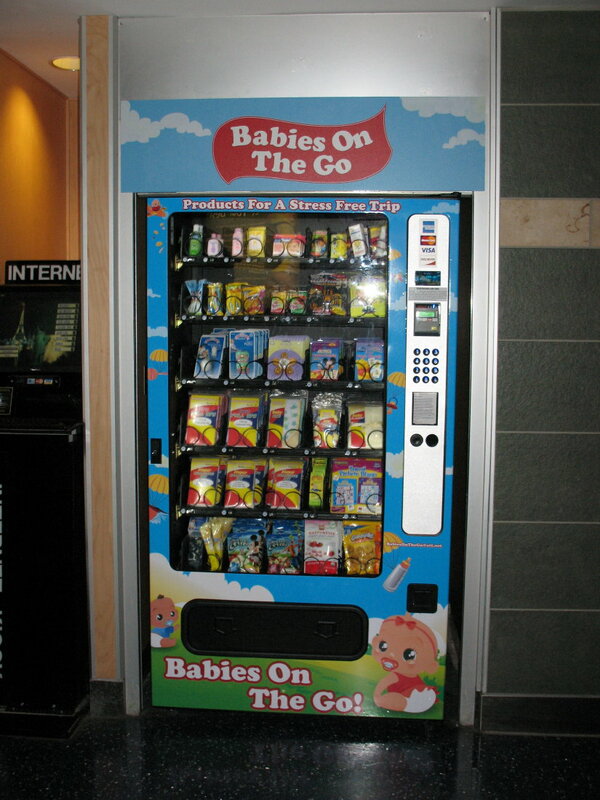 Okay, I had to take pictures at the KC airport of this baby-and-little-kid vending machine. Seriously, I thought that this was a great idea. It had diapers, socks, bibs, little games, binkies, a teether, and organic toddler snacks. And it took credit cards. I Googled, and apparently it’s one of the first of its kind in the country. 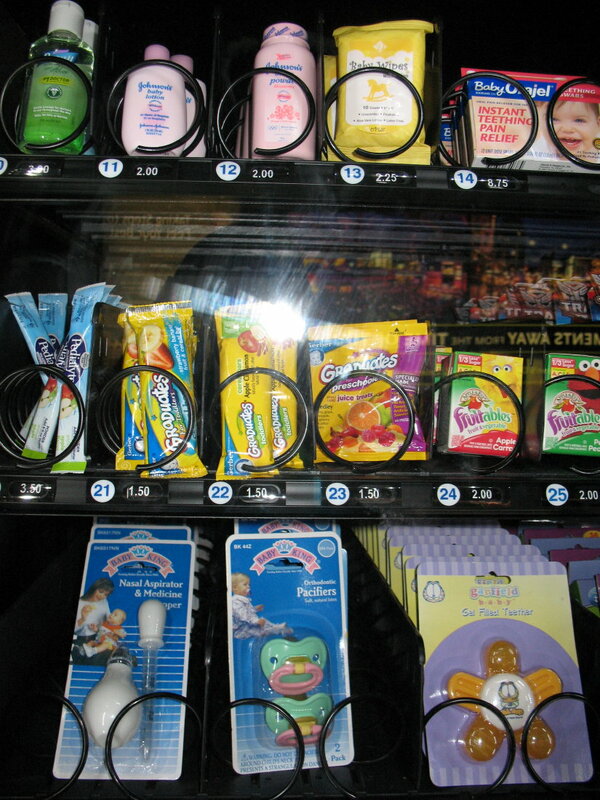 My kids are too big for most of the selections, of course, and I can’t quite imagine buying a vending-machine baby blanket. But dude, I’m absolutely familiar with the intense need for a binkie. 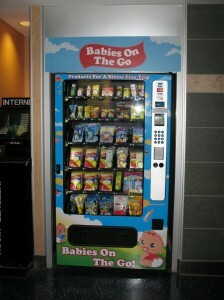 Seems to me like clever marketing and a service to frazzled parents everywhere. We arrived in New York this afternoon, and I ended up writing this to remind me later of my favorite five minutes of every homecoming. I forget, until it’s time to unpack again, the sweetness of these moments. I’m in the bedroom smoothing clothes into drawers and the girls’ sounds are familiar and joyful. M’s voice is high-pitched and boisterous, narrating the events in their imaginative play, and from J, it’s all delighted giggles. They’ve slipped into their primary roles: M as directress, J as appreciative sidekick. Out in public, the games of pretend and six-year-old sister are too unsophisticated for M. At 8, she strives for the blasé aura of a world-weary 11-year-old. Home too long, and J chafes at M’s big-sister authority. She asserts her own storylines, makes claims on various toys. Sometimes they work it out; frequently they don’t. But just-home after a week away, they relax and revel in the familiar. They greet stuffed animals and dolls exultantly, bounce on their beds, coddle the cat. Most of all, they enjoy each other’s company. Their contented togetherness pipes into my bedroom and overrides my fatigue and lingering queasiness from the flights. And then, too quickly, I realize why I always forget these moments. Because instead of savoring it, I am unpacking and wiping off exploding lotion bottles and changing kitty litter. And then I discover the cat has something nasty in her fur. The harmony between the girls continues, but they’re tired and hungry. They migrate to the barren kitchen and begin rifling through the pantry in search of something scrumptious to eat or, failing scrumptious, just something. Moments later I’m helping them rip apart dried ramen noodles. I console myself: unconventional, but they’re probably better than Doritos. M teaches J letters (she needs coaching), and they toast each other extravagantly over their crunchy noodles. So extravagantly, in fact, that water spills all over an outfit. Soon I am nagging them to pick up the soaked towels, please, to throw the wet clothing in the laundry, to carry dishes to the counter because we’re not at Grandma’s anymore. And imperceptibly, the gears have shifted, and we’re no longer Reveling in Home. We’re just home. But it still feels pretty good. Wonderful as always – welcome home! Fun post. 🙂 We always seem to be getting home in the late afternoon after our 3-hour return drive from G&G’s, just in time for the dinner-time hungriness to set in for everyone, nevermind that we return to a cold house, having reset the thermostat to some temp that our fur-coated friends can tolerate in our absence, but not us. I’m always unpacking with my coat still on – it never quite feels like I’m settled in until the coat comes off!